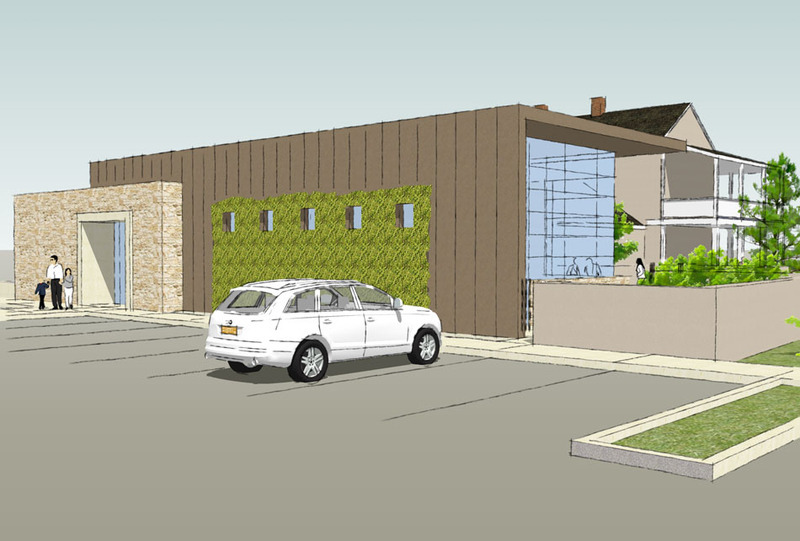 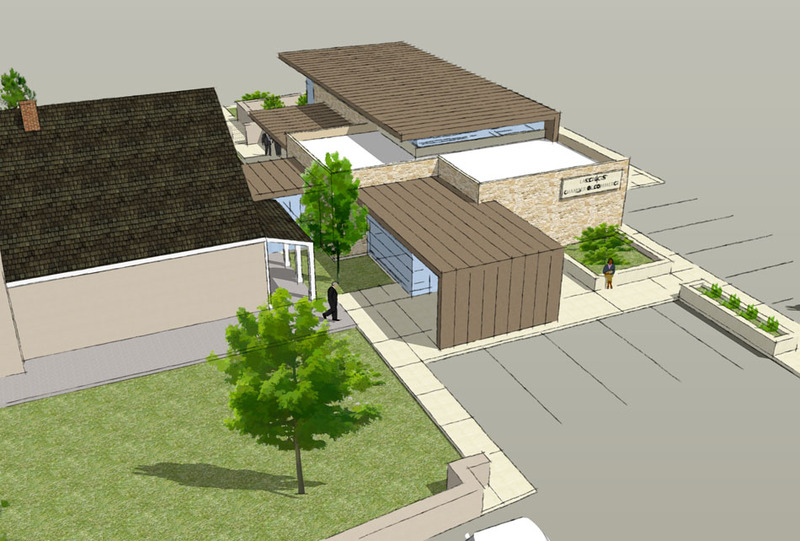 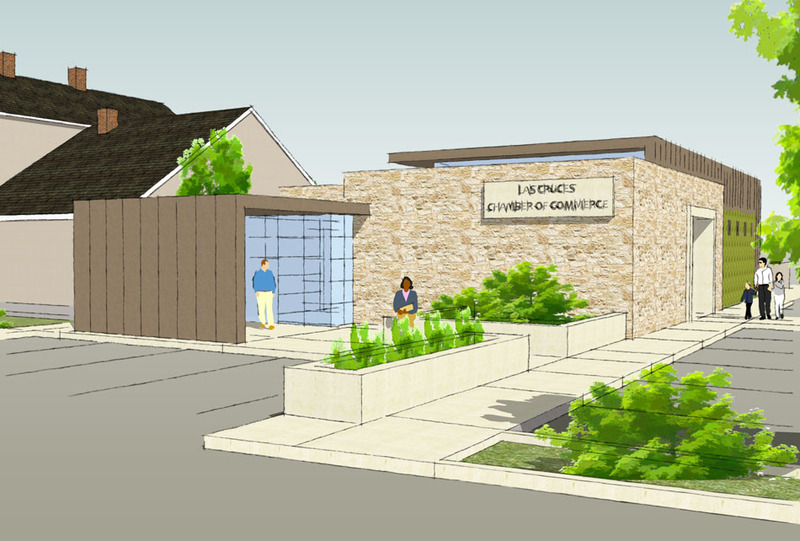 This conceptual design for the new Las Cruces Chamber of Commerce includes the renovation of the historic Armijo House near Downtown and a new 1,500 sf building to the south side. 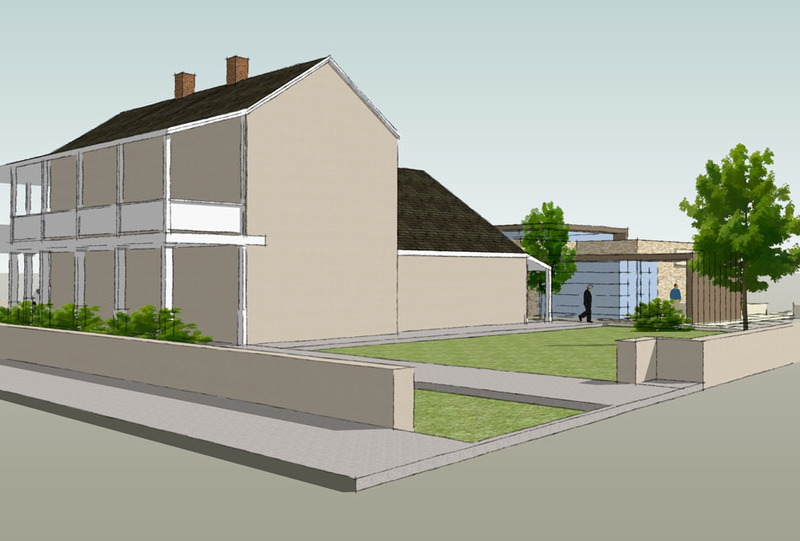 The program includes new offices and support spaces in the Armijo house with a glass-enclosed connection to the new building, which includes a large meeting room, kitchen spaces, and entrance hall. 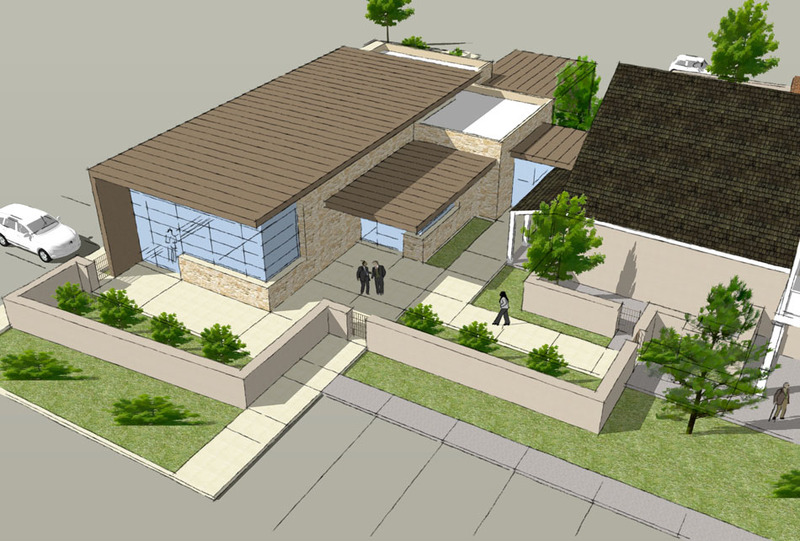 A contemporary southwestern style was utilized for the addition to separate it architecturally from the Armijo house and to create a dynamic expression.